Every year, an estimated 100 million sharks are killed by humans, tens of millions for their fins alone. The fins are used for shark fin soup, a luxury dish sometimes served at	Chinese weddings and banquets. This soup has grown in popularity, raising consumer demand for shark fins and contributing to the decimation of shark populations worldwide. For years, COARE has been working to increase awareness of shark finning, which is neither humane nor sustainable. Any shark is taken, regardless of size, age, or species. After its fins are cut off, the shark is thrown back into the water. Bleeding and unable to swim, the shark suffers a slow and torturous death. As apex predators, sharks play a crucial role in regulating the eco-system, and are great barometers for overall ocean health. 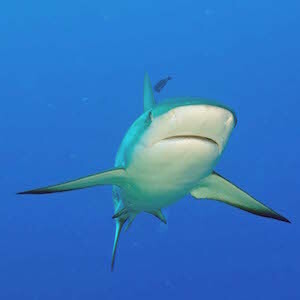 Sharks are especially vulnerable to overfishing and are slow to recover from depletion because they generally grow slowly, mature late, and produce few offspring. As a result of these fishing pressures, one-third of open-ocean shark species are already threatened with extinction. Shark Friendly Communities is a campaign to create, promote, and support shark conservation and shark fin legislation around the world. 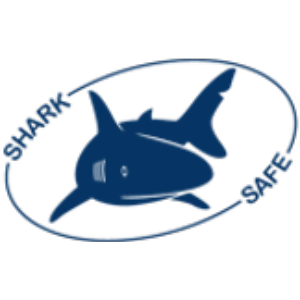 As part of this project, COARE is proud to offer Shark Safe® certification to businesses that distinguish themselves through their dedication to shark conservation. The dwarf lanternshark is the world's smallest species, barely reaching 8 inches in length. The US averages fewer than 1 shark-attack fatality per year. On average, more people are killed by ants (20-50), horses (20), cows (22), bees (53), and deer (130). Some shark species have amazing hearing, and can detect low-frequency sounds over 800 feet away! Sharks' skin is made up of small 'dermal denticles'- specially shaped scales that reduce turbulence and drag in the water, making them hydrodynamic, speedy, and silent. There are over 500 species of sharks, the first of which appeared nearly 440 million years ago.